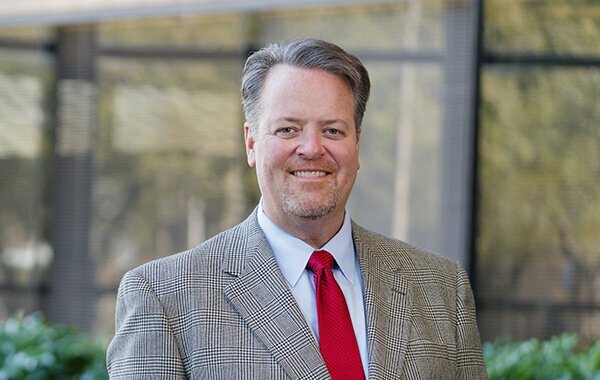 Get to Know Attorney Richard G. Ardoin | The Ardoin Law Firm P.C. When asked why I first became an attorney, the answer is simple: I wanted to help people, and I knew that the easiest way to do so was to use my inherent strengths, which largely lie in complex problem-solving. As an attorney, the ability to understand my clients' needs serves me well when working with insurance adjusters, defense attorneys and judges alike. When a client hires my firm I first determine what they’re looking for in an attorney and how I can provide it ... then we get to work! My strategic nature benefits me both in case negotiation and in trial. I am consistently able to obtain positive results for my clients. Of course, after more than 25 years of personal injury practice, I’ve come to thoroughly understand injury cases, and the knowledge I’ve gained over the years certainly aids me in this process. When you're facing the seemingly impossible, turn to me. Throughout my career I have had the privilege to represent hundreds, if not thousands of injured Texans. These injury cases have involved broken ankles, broken hips, broken backs, herniated disks in the spine, knee injuries, shoulder injuries, whiplash, lacerations, scarring as well as closed head injuries. An attorney must understand the nature and extent of the injuries sustained by the client in order to deliver just results. Please know that when I evaluate your case, I will dig deep to discover the truth about your injuries, what happened to cause those injuries, who is responsible for those injuries, what medical treatment was necessary for those injuries, what your medical expenses and lost wages are as a result of those injuries ... and then I will aggressively pursue a just recovery for you. Outside of my firm, I enjoy a wide variety of activities. I have three children whom I love dearly and to whom I devote most of my free time. Beyond spending time with them, you can find me anywhere from my local coffee shop to Minute Maid Park. I am a lifelong fan of baseball, music and travel. I also play guitar and record original music. As an added bonus, I find that by making an effort to stay well rounded, I am better able to think in inspired ways and relate to a wide array of clients in my personal injury practice. © 2019 The Ardoin Law Firm P.C.